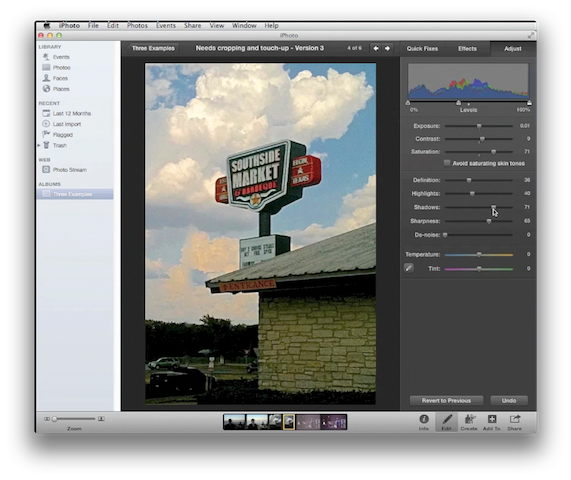 Episode 3 of a three-part series on using iPhoto on a Mac to fix bad photos. This installment: removing blemishes (and lamp posts). Click the image below to watch my video tutorial.